"We need to take guidance from his moral compass to be reminded of the importance of respecting human dignity and defending equal rights for everyone." Today, people from all around the world are gathering to honour and draw inspiration from one of the most powerful examples of courage and change: the life of Nelson Mandela. A South African freedom fighter who was born 100 years ago in the South African village of Mvezo and grew to adulthood under the dark shadow of apartheid. From these beginnings, Nelson Mandela became one of the most visionary and influential political figures the world has seen. Today, millions of people who feel left behind by the forces of globalisation, are easy prey to the siren songs of isolationism, xenophobia and racism. Trust in the institutions of government, business and the multilateral system is at an all-time low, making it easy for the cynical peddlers of populism to win votes by offering false promises and seemingly simple solutions. Many politicians and citizens alike either lack the courage to challenge these purveyors of prejudice or find solace in scapegoating and join the chorus of cheap bigotry. Yet we abdicate our own responsibilities and abandon the most vulnerable in society if we succumb to fatalism and despair. History teaches us that change is always possible, even when things appear most bleak, when courageous women and men stand together, speak out and take action to change the status quo. Madiba fought the evils of apartheid, along with his comrades both at home and in exile. They worked across gender, color, age and philosophical lines. From the likes of Albertina Sisulu and Ruth First, to Steve Biko and Hugh Masekela, to the schoolchildren of Soweto and the martyrs of Sharpeville—in their spheres of influence, all types of change agents played a critical role in overthrowing their racist regime. Together, they overcame oppression and contributed to building a new democracy that allowed all South Africans, irrespective of political or racial affiliation, to become a part of this hopeful ideal; a rainbow nation. Millions of people are alive today who were not even born when Mandela walked out of prison a free man. What is remarkable, and what gives me hope for the future, is how his life and legacy continue to inspire these younger generations. The world has changed immeasurably in the three decades since Madiba was released. It has even changed immeasurably in the five years since his passing in 2013. Perhaps now more than ever, we need to take guidance from his moral compass to be reminded of the importance of respecting human dignity and defending equal rights for everyone--regardless of race, creed, national origin or sexual orientation. We cannot tolerate a world where mothers and infants are separated by armed men in uniform, where assassinations and poisonings against civilians are considered an acceptable instrument of state power, or where desperate refugees and migrants are left helpless and vulnerable. Throughout his life, Nelson Mandela believed in the power of positive change. So, it behoves us now, as we celebrate his centenary, to consider what we can do – both as individuals and collectively – to keep fighting for the freedoms he held so dearly. It scarcely needs restating how urgent it is to keep up the fight. The politics of nationalism, from “America First” and Brexit to ethnic sectarianism, whether in India, Myanmar, Cameroon or Crimea, or to allow conflicts to ravage communities for years and create unspeakable suffering in places like Palestine or Syria, loosens the ties that bind us together in our common humanity. The pursuit of protectionist agendas and the politics of intolerance also draw attention away from humanitarian crises which urgently need attention—and which, if left unattended, will come back to haunt those who think they can hide behind walls and raise the drawbridge. Fortunately, there are countless people around the world who are not prepared to meekly abandon the hard-won gains of the past century, from gender equality to the right to health, education, access to justice and peace. For the past year, The Elders – the group of independent global leaders who Madiba and I convened in 2007 – have been working to support courageous civil society groups who uphold the values of peace, justice and equality. These “Sparks of Hope”, as we call these civil society groups, are 100 grassroots organisations from all corners of the globe and are comprised of peacemakers, human rights defenders, justice advocates, feminist campaigners, LGBT rights fighters, and community health workers. Over 67 million people around the world have joined us on social media to amplify the voices and reach of these “Sparks of Hope” and accelerate social change in their communities. On his 100th birthday, let us use this momentous occasion to redouble our efforts to continue his long walk to freedom. 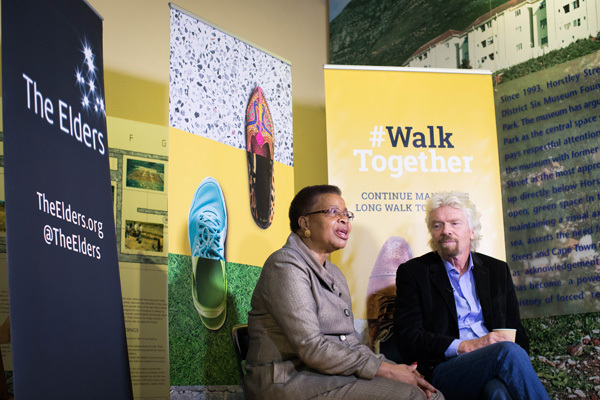 I will join my fellow Elders and grassroots “Sparks of Hope” in Johannesburg, where we will walk together in commemoration of Madiba’s legacy and in support of those who work for a world free from poverty, inequality and injustice. As Madiba said himself, ‘Let freedom reign. The sun will never set on so glorious a human achievement’. 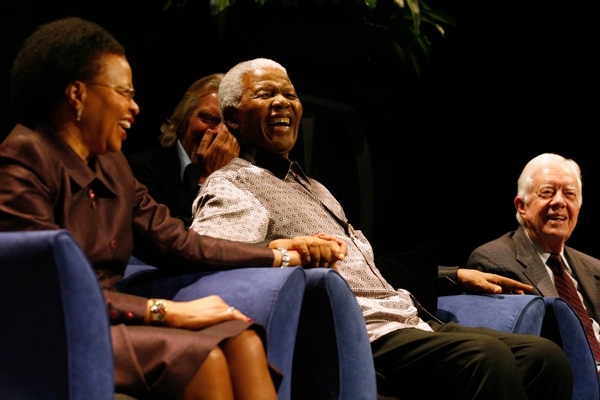 Graça Machel co-founded The Elders with her husband, Nelson Mandela. 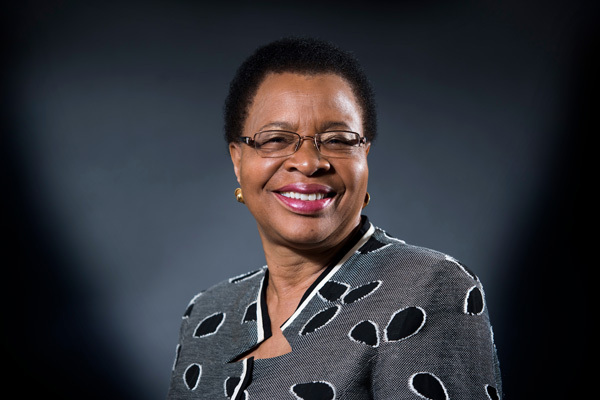 She is a lifelong advocate for women’s and children’s rights and is the Founder of the Graça Machel Trust and the Foundation for Community Development. 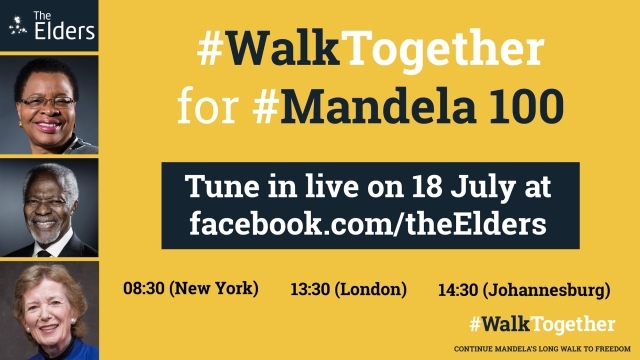 She will be leading the Elders Walk Together campaigns activities on Nelson Mandela’s 100th birthday and asking others around the world to join the movement.